Rugs are a beautiful finishing touch to a space. They help define living zones, anchor key pieces of furniture and add warmth. In small spaces, they can actually enlarge the look and feel of a room. 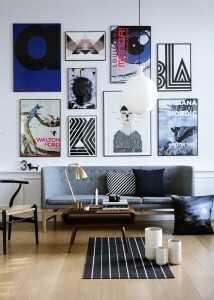 Pattern, print and pile all add visual and textural interest to a space. But what is the number one mistake when it comes to choosing rugs? Size. Choosing the right rug is all about choosing the right size. Size matters. 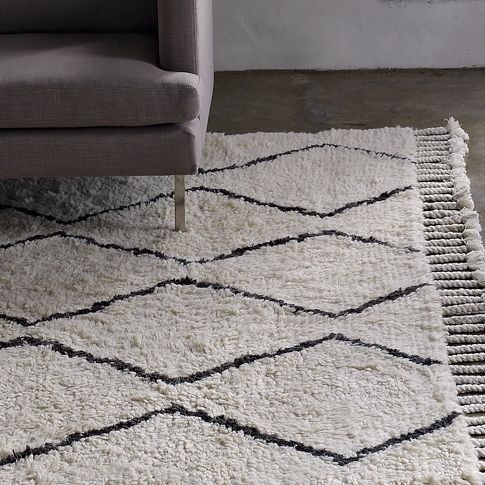 Sounds cliched, but size really does matter when it comes to choosing the right rug for your space. As a general rule, and budget permitting, the larger the rug the better. The most common mistake with rugs is choosing a rug that is too small for the space. What do you think – too skimpy? Pocket-sized rugs make your space look smaller than it actually is and lack purpose. Large rugs on the other hand expand a space and unify the items within it. 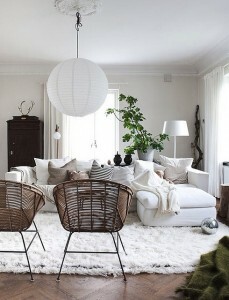 I love the styling in this lounge where the side chairs are fully planted on the rug and connected to the sofa. A generous and inviting space. Rugs are also meant for feet. Wherever you sit in the lounge room, your feet should be able to touch the rug. So be generous. 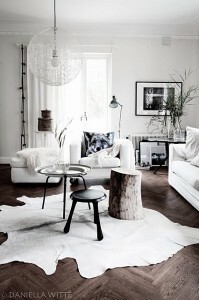 Choose a large enough rug in proportion to your furniture that zones your living area and ties all your pieces together. All aboard. So how much should be on the rug? Ideally, all the central pieces in your living area sit on the rug. 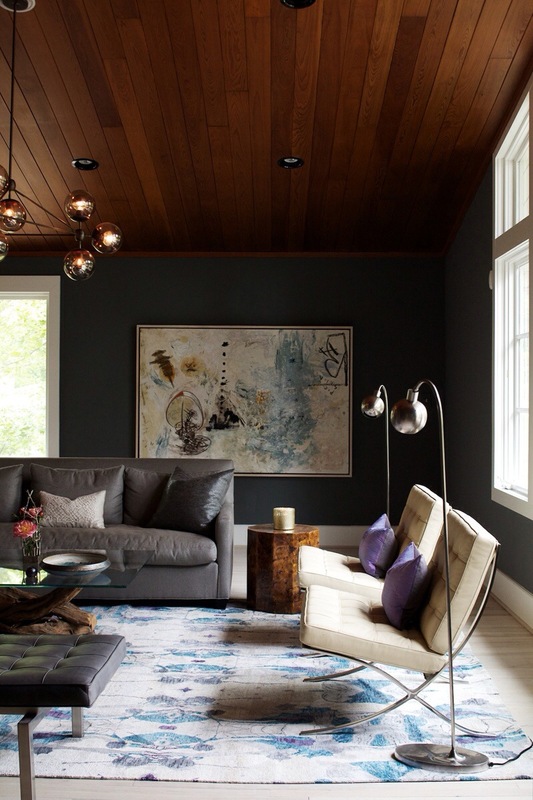 The sofa, coffee table and lounge chairs all have their legs sitting on the rug. 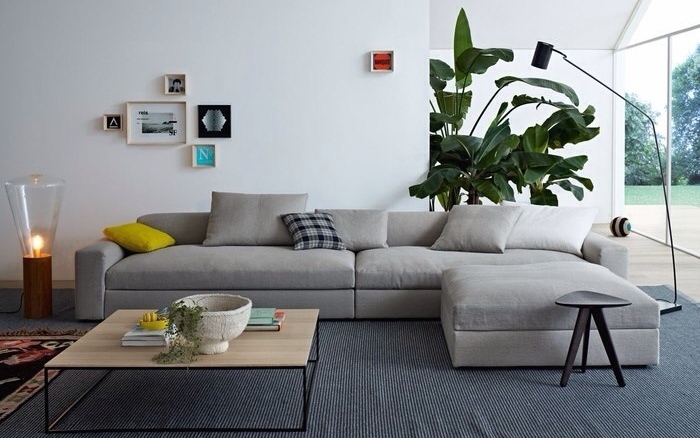 Where the dimensions of your space allow, this is the optimal styling scenario. Half on-half off. However, where your space or budget does not stretch that far, you can still ‘anchor’ your furniture to the rug by placing the front feet on the rug. This is where sofa or chair legs sit half on the rug and half on the floor. 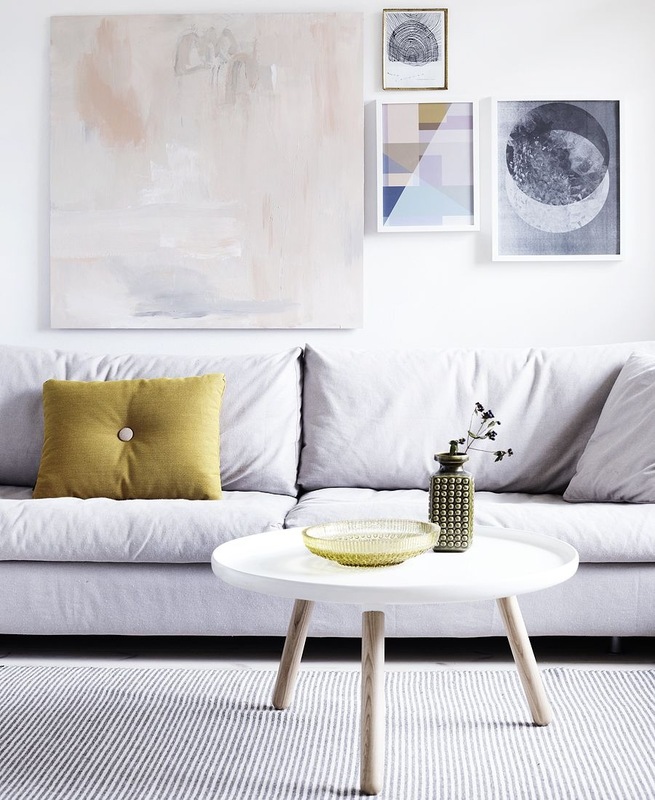 This works best with sofas and solid armchairs, rather than fine-leg occasional chairs, where the legs can get caught up on the edges of the rug. All off. Another way to address this is to have sofa and chair legs completely off the rug. Here, the rug follows the perimeter of the furniture and sits neatly inside the footprint of the main sofa and lounge chairs. But mind the gap. 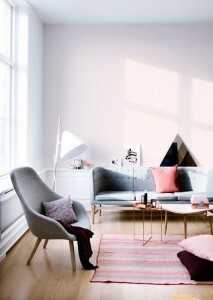 If you go for this look, the rug should sit close to the sofa and allow feet to touch the rug when seated. Done well, this is a neat, stylish solution for smaller spaces and budgets. Dining. 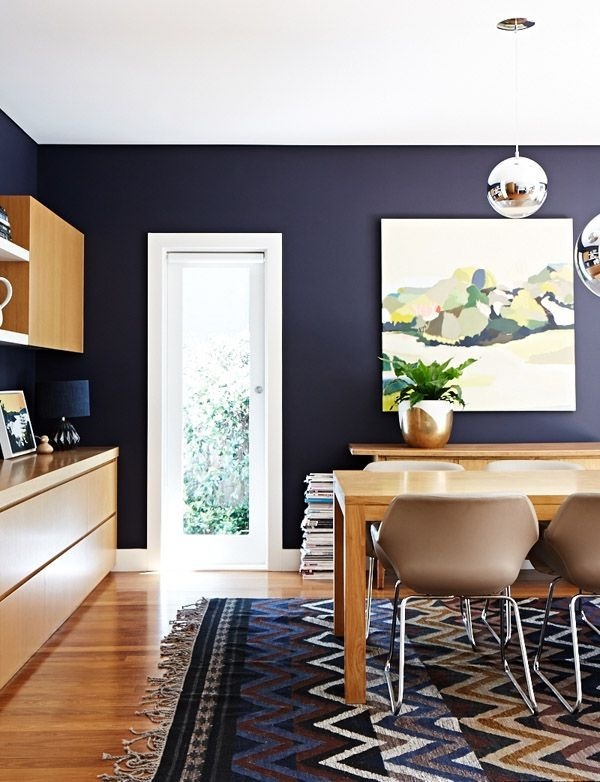 I love a statement rug in the dining room. They work particularly well in large open-plan spaces, where a rug under the dining table zones the room and provides a beautiful anchor for the dining table. However, they can be tricky to care for in high-traffic family eating zones so may be best for more formal dining areas. If you do opt for a dining room rug, choose one that is wide enough to allow for all 4 legs of each dining chair to sit comfortably on the rug. This is one area where the chairs can’t be half on-half off. This room does it beautifully. Graphic, textured pattern with dining chairs completely on the rug. Unstructured. 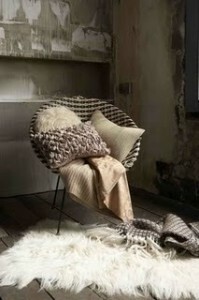 If none of this suits your style or your budget, try a loose, textural piece that sits casually on the floor. This can be anywhere. In the middle of the room, to the side, with pieces half on-half off, whatever you like. And it can be any size. Because they are organic in shape and style, these pieces don’t have to zone or “fit” a space. 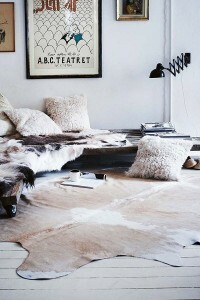 Cowhides and sheepskins are beautiful styling elements for this purpose. I love rugs. 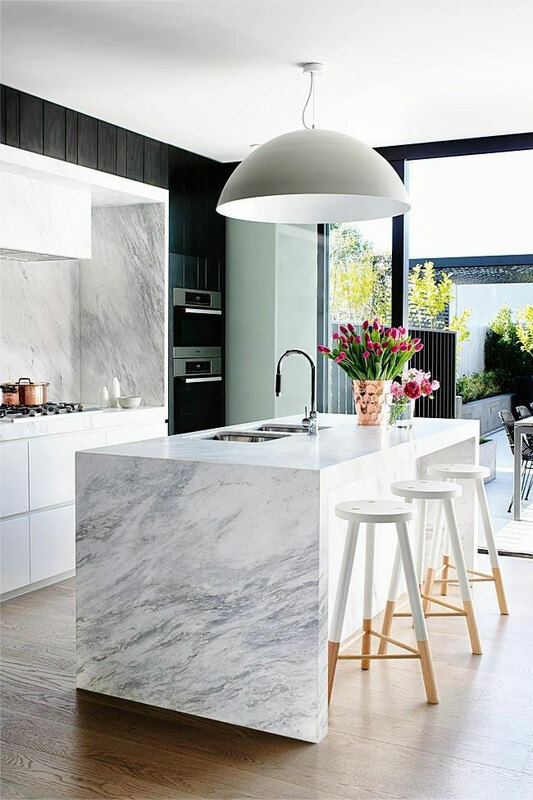 I love how they feel and what they can do to elevate a space. Get the size and placement right and everything else in the room will feel right. 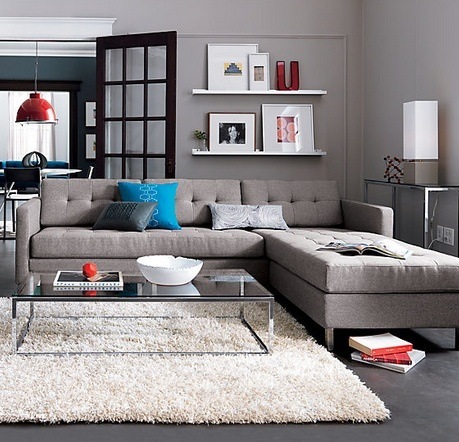 Measure out your space and go as large as you can afford in proportion to your furniture.